Our EVA Tack Room Mats offer a fantastic solution for customers wanting a comfortable, maintenance free and insulating floor for their tack room. 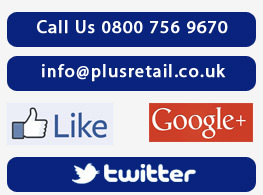 Horse Mats Plus has a large range of mat designs and thicknesses. All our tack room mats are made from the highest grade EVA. Ethylene vinyl acetate is a foam material which cannot collapse or go hard and has greater thermal insulation than traditional rubber mats. 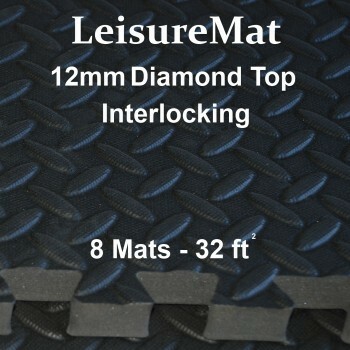 Our tack room matting is much lighter at approximately one fifth of the weight of traditional rubber mats. This makes them easy to fit and very manageable to remove, clean and refit when required. 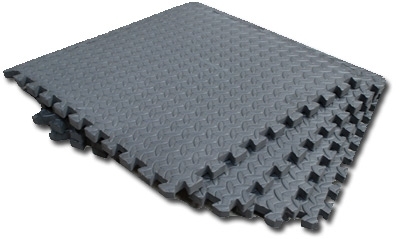 The Tack Room EVA mats come in a standard 2’ x 2’ (610 x 610 mm) mat size. 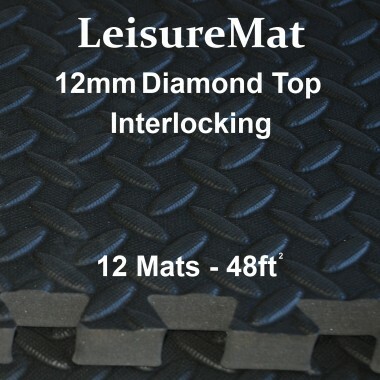 The LeisureMats have a diamond top design and smooth bottom surface, the mats interlock on all 4 sides and come with edging strips.They are easy to install and great for use in tack rooms, feed rooms and utility rooms. Our Tack Room Mats are quoted in coverage – both by square feet and square metre. To calculate your area, all you need to do is to multiply the width by the depth of the space you want to cover.